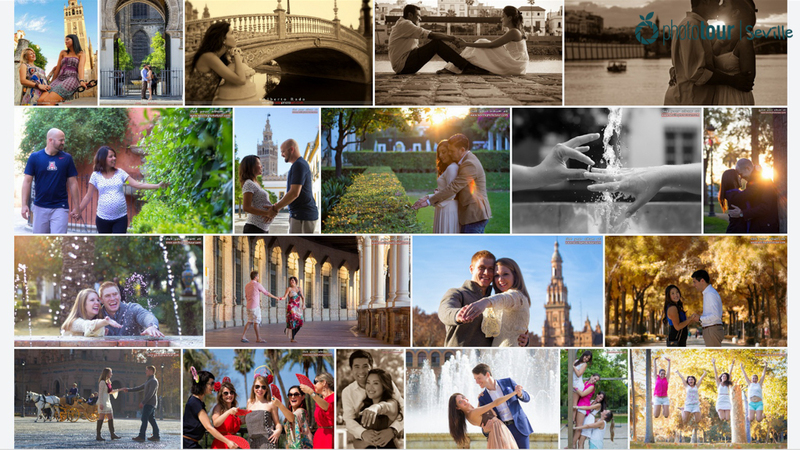 If you are thinking about celebrating your marriage proposal in Seville and immortalize it at its fullest, Photo Tour Seville is your best choice. 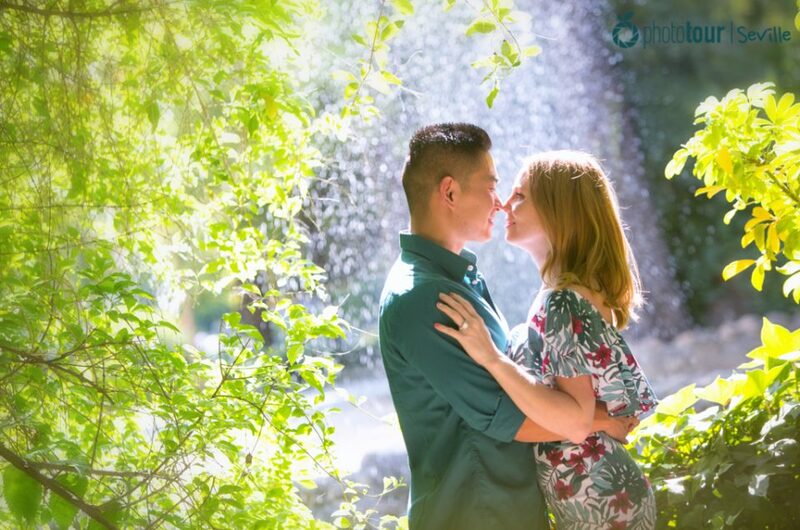 Our team of professional photographers have been immortalizing marriage proposal for over 5 years and are experienced in this kind of events. No matter the place, the kind of light or weather of the day, our professional photographers know perfectly how to position and capture the most important moment of the proposal. 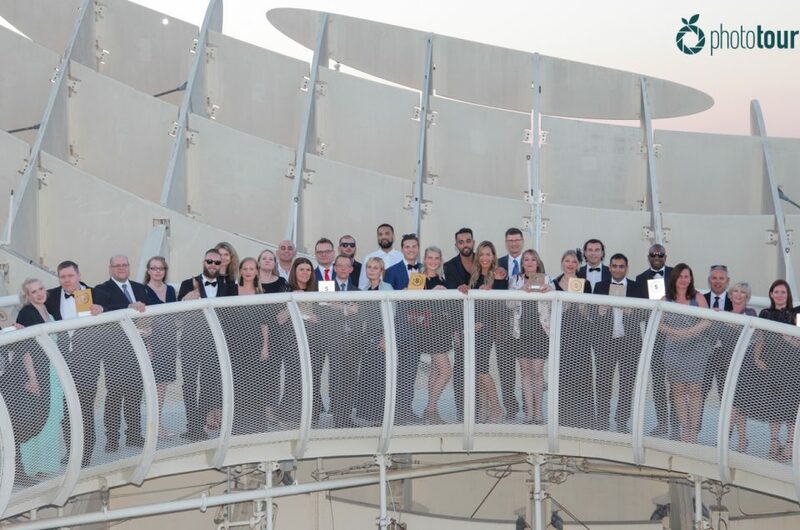 If you are determined to celebrate your marriage proposal in Seville, we explain you in our post all the steps in order to plan with us an unrepeatable moment. Contact us and let us know the date you plan to celebrate your marriage proposal. We will suggest you the best light hours so your marriage proposal is captured in the best way. We will also recommend you the most photogenic and romantic spots of Seville so your fiancée is impressed and remember that magical moment in that special place forever. 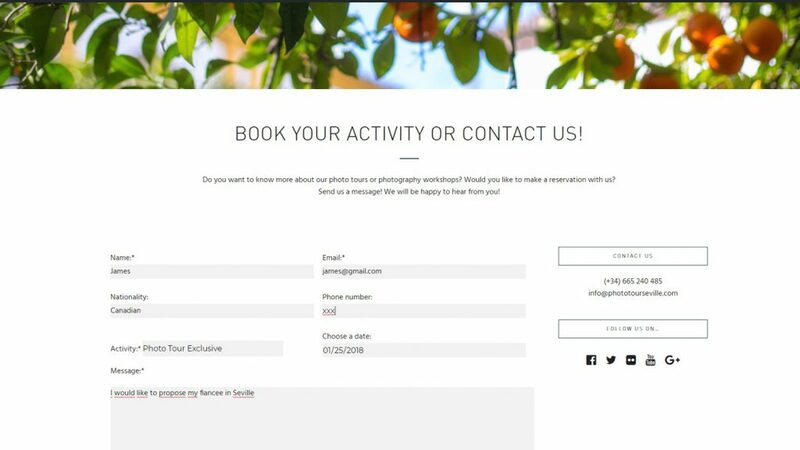 To plan your marriage proposal we will agree on time and meeting point, and we will ask you for a photo of both of you so our photographer can recognize you easily. We will send you the location by Google along with a photograph of the spot where the photographer will be waiting so you can find it rapidly. Of course, the photographer will not make you any sign when he sees you coming, so your fiancée won´t suspect anything. The day of the photo shoot, the photographer will be waiting at the agreed time at the specified spot. Once he sees you coming, he will start taking photos silently from the distance. You will set the pace and will choose the place where you want to do the proposal, so the photographer will follow you everytime. When you get to the place and start the declaration, the photographer will approach to you prudentially in order to take closer photos of the moment. When the declaration is finished, the photographer will introduce himself and will take you around taking more photos. As soon as the photographer send us the potos, we will start editing them. After a week of the photo shoot, we will send you through Wetransfer the photographs in digital format, and with no water mark. 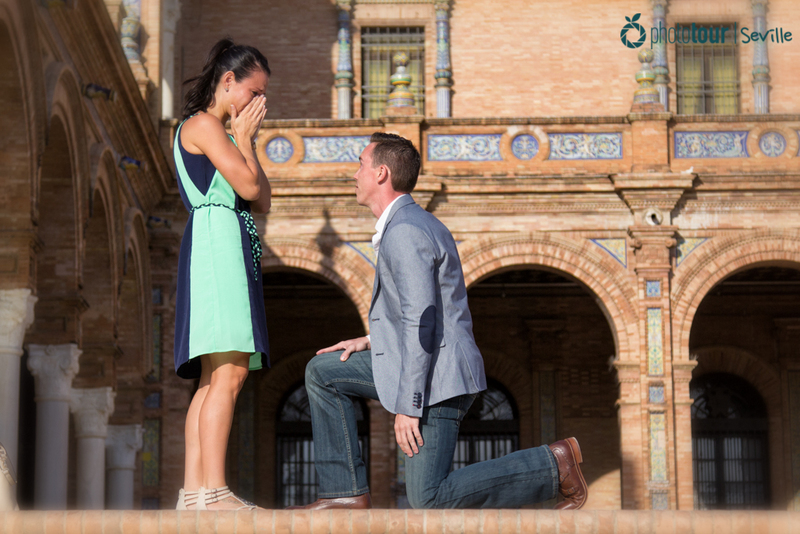 You could send and share on social net the photos of your marriage proposal in Seville!